Video communications vendor Polycom is expanding its portfolio with the addition of a new device and free desktop and mobile software to help users improve their enterprise conferencing experiences both in the office and on the go. Video communications vendor Polycom (PLCM) is expanding its portfolio with the addition of a new device and free desktop and mobile software to help users improve their enterprise conferencing experiences both in the office and on the go. “Polycom is focused on leading our customers’ success by creating solutions to help them build a collaborative experience that is both natural and easy to use,” said Peter Leav, Polycom president and CEO, in a statement. 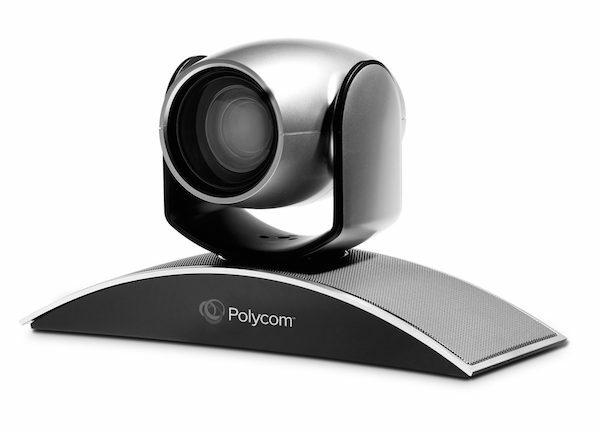 The Polycom EagleEye Producer is an enterprise conferencing camera with facial recognition software that finds and automatically frames viewers, and is able to detect when participants leave or enter a room. Enterprises using the adjoining Polycom RealPresence Group Series solutions and Polycom RealPresence Resource Manager software can record the number of participants at the start and end of the meeting and the amount of time each attended, according to the announcement. Both software solutions come equipped with Polycom NoiseBlock technology, which automatically eliminates background noise during conference calls. PolyCom’s Acoustic Bubble technology is a similar offering for mobile users to help eliminate street noise and other potential distractions. Polycom said its RealPresence Group Series also includes new HP multipoint enhancements and interoperability with Microsoft Lync 2013. RealPresence is available in both desktop and mobile options, with 720p video capabilities on select mobile devices, according to the company. An additional free app will allow users to work on and share content through their mobile devices. The RealPresence Platform is the only Microsoft-qualified video infrastructure for Microsoft Lync 2013, according to Polycom. All of the solutions are available now worldwide, and the EagleEye Producer is expected to hit shelves before the end of the month. The Polycom RealPresence Mobile Application is available for free for iOS and Android users.